Please be aware that we do not stock all products in all sizes listed on our website at any one time. Please call for availability prior to making a special trip. 2019 winter season bare root trees will soon be available for pre-order. CLICK HERE to download our FRUIT TREES order form. 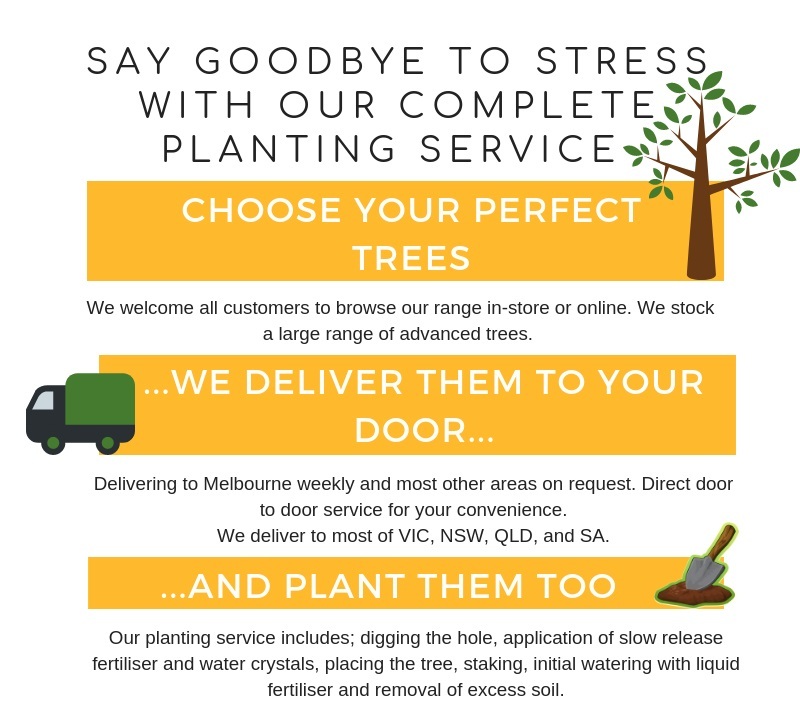 CLICK HERE to download our ORNAMENTAL TREES order form. CLICK HERE to download our WEEPING & STANDARD TREES order form. CLICK HERE to download our SEEDLING order form. Updated June 20, 2018. Please feel free to enquire about discounts on large orders.